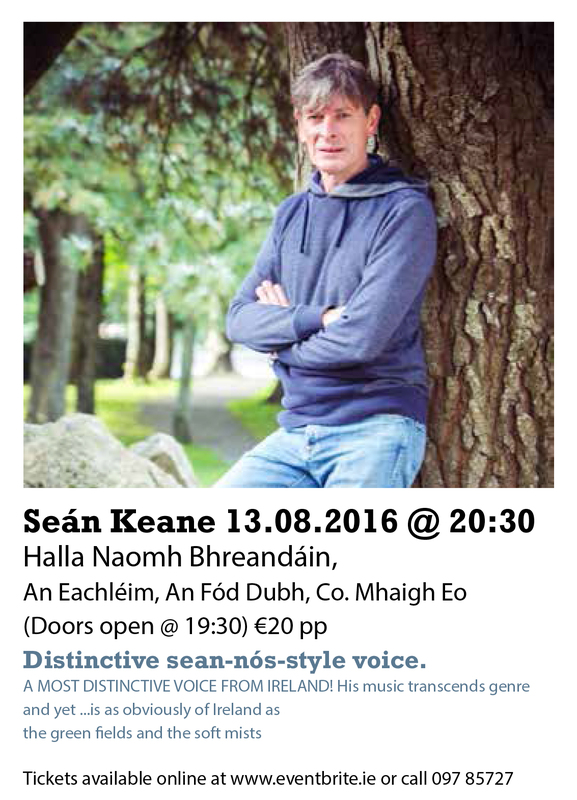 Sean Keane in concert Halla Naomh Bhreandáin, Eachléim, Satharn 13th August. Doors open 7.30pm for 8.30pm start. Tickets on sale in Ionad Deirbhile, Sean Siopa & Teach John Joe, Eachléim, Healys shop Binghamstown, Belmullet Tourist Office, €20 each. Raffle on the night also. This entry was posted in Community, Eachléim Notes, Events, Music, News by Bainisteoir CFID. Bookmark the permalink.